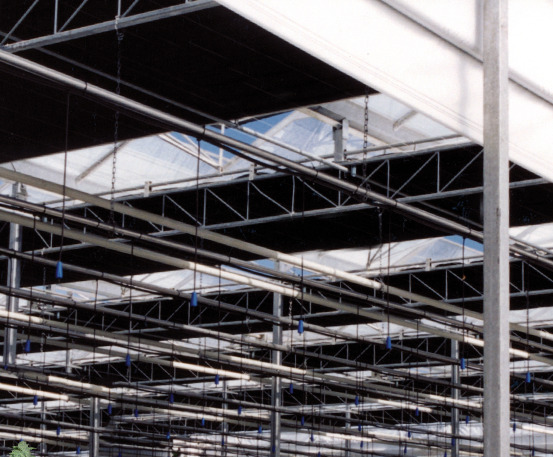 With the legalization of commercial scale marijuana growing, greenhouses are a natural fit. 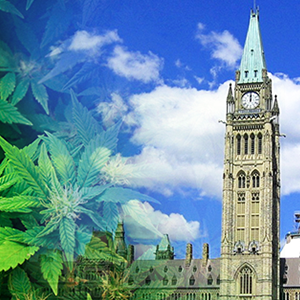 Many greenhouse growers have applied to Health Canada for licenses under the MMPR program, and in Washington and Colorado greenhouses have begun to convert their operations over to cannabis. 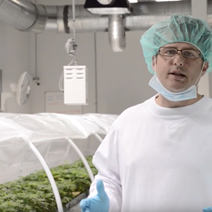 For commercial greenhouse growers looking to get into the marijuana market GGS has developed a relationship with some of the biggest Medical Marijuana Growers in Canada. 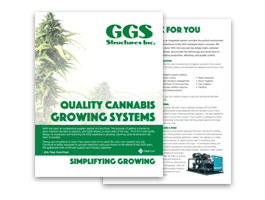 Through working with these growers GGS has developed integrated growing solutions specifically for maximizing production of cannabis. We can help you modify and improve your current growing systems to focus on producing consistent quality marijuana bud. 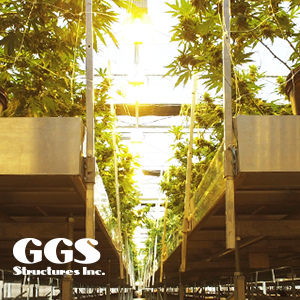 For new greenhouse operators, GGS is the logical choice to assist you in the design and construction of your marijuana greenhouse. When you start from scratch, bringing GGS into your team at the very start makes sure every detail is coordinated. The biggest advantage Greenhouse Marijuana Growers have is the abundance of natural light coming into the greenhouse. Having said that high intensity grow lights are still needed for supplemental lighting if you want to maximize production. While cannabis likes long daylight during the vegetative stage, a good blackout system is required for the best flowering production. 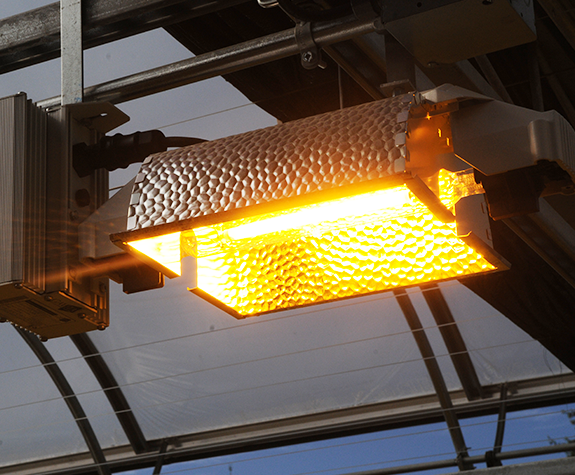 Heating and Cooling Systems are an important component of the marijuana greenhouse. 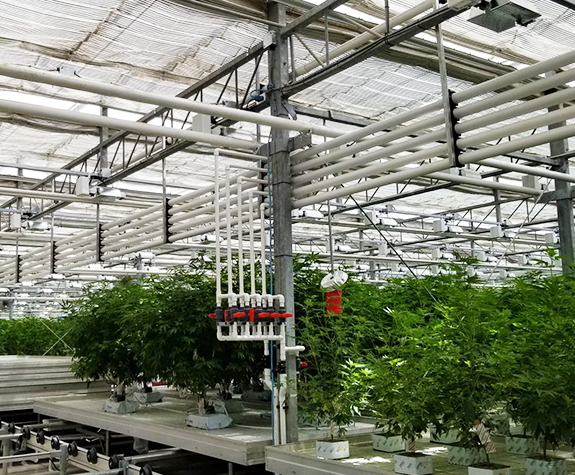 Because other components of your greenhouse design affect your heating and cooling requirements it is essential that this is part of your integrated growing solution. CO2 is essential for maximizing the quality and production of Marijuana. Depending on your fuel source, we can set up your boiler to produce CO2 for your greenhouse. When this is not possible, we can design for liquid CO2 injection. Not all grow lights are equal. 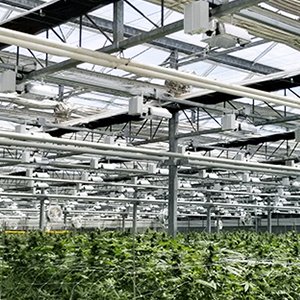 GGS tests lights for maximizing marijuana yield, depending on your lighting needs GGS can recommend the best LED lights, or when Metal Halide or High-Pressure Sodium lights are better suited. 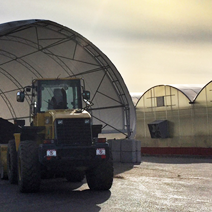 Ventilation is essential as with all greenhouse crops, however marijuana legislation, and local municipality requirements may also impose strict requirements for eliminating exhaust odors. 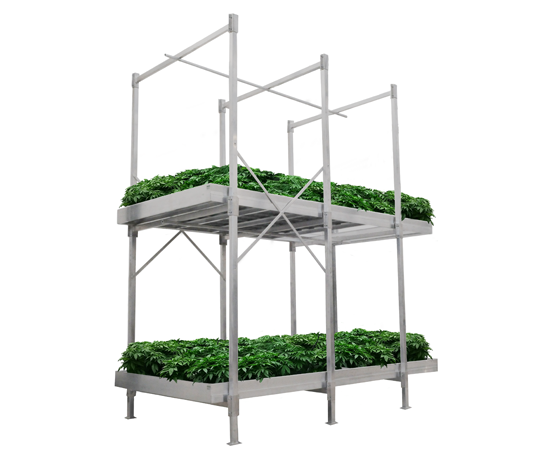 Our integrated growing solutions include air filtration systems where required. Marijuana can be grown hydroponically and there are several different systems for bench growing including flood benches, and trough benches. Marijuana can also be grown in soil with drip irrigation systems. 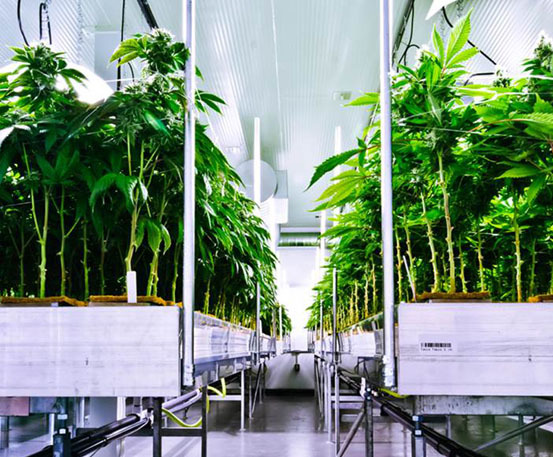 A nutrient management system is essential for maximizing the production yield of the cannabis plants and ensuring consistent and reliable quality. 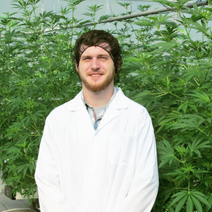 The brains of the complete marijuana growing system whether a greenhouse production facility or a warehouse grow op is our environmental computer. The computer control systems for a marijuana greenhouse controls and monitor all the nutrients, lights, blackout, air circulation, CO2 and irrigation needs of the plants, it is designed to maintain the exact environment needed for as many different growing zones as you want and can handle different environments for propagation, cloning, flowering and for as many different varieties as you want to control. With our system, all of this can be conveniently run from your smartphone. 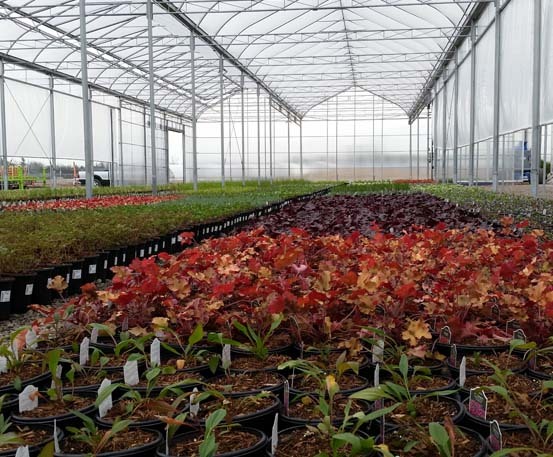 Our integrated growing solutions are scalable so a small greenhouse growing facility can be expanded to as large an operation as you can imagine.